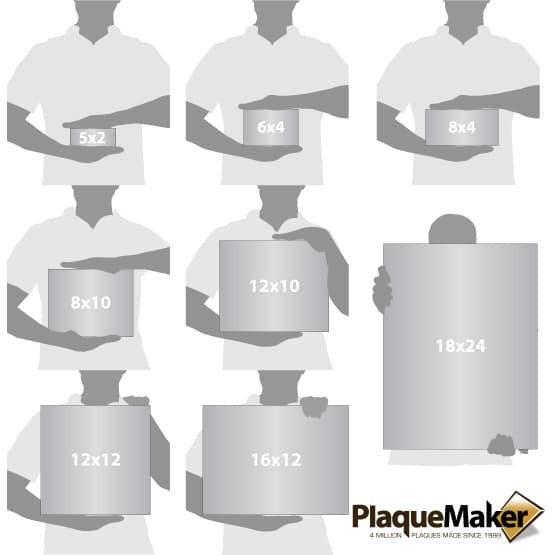 - Select -Up to 5x2" or 10x1"Up to 8x4" or 16x2"Up to 10x8" or 20x4"Up to 12x10" or 24x5"Up to 12x12" or 24x6"Up to 16x12" or 32x6"Up to 20x12" or 40x6"Up to 24x12" or 48x6"Up to 36x12" or 24x18"Up to 48x12" or 36x18" or 24x24"Up to 48x18" or 36x24" or 30x30"Up to 48x24" or 34x34"Up to 48x36" or 42x42"Up to 48x48"Up to 72x48"Up to 96x48"
This product is expected to ship on Wednesday, April 24 if you place your order within the next 10 hours and 19 minutes. 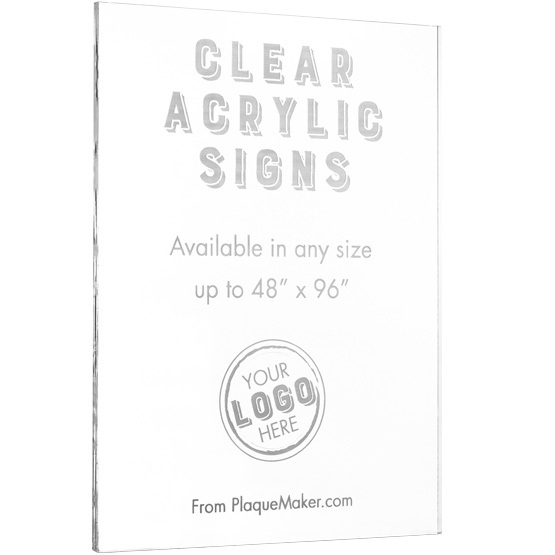 Create personalized frosted clear acrylic signs at PlaqueMaker. 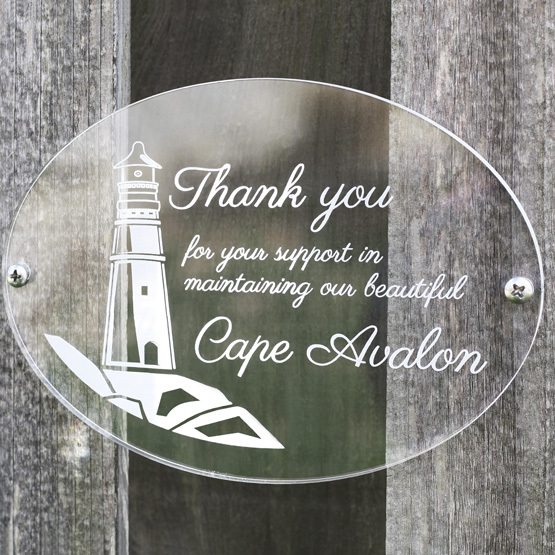 Our clear acrylic allows for a diverse range of custom uses, whether it's an outdoor memorial sign or a list of favorite donors. Overall Size: Up to 96 x 48"
We wanted to celebrate the life of a lady with dementia who walked laps all day long at my Mom's assisted living facility ...so the plaque was perfect! The job was well done, very timely, and will be appreciated by all for a very long time. I am so impressed with the quality of the plaque I ordered. It is a special remembrance, for me, of my best friend who recently passed away. Thank you. I look forward to showing it off at his celebration in the garden we planted together. Great service and Customer service. Refreshing. When presenting an award or plaque for efforts that go beyond what is expected, I think that the plaque/award should represent that high quality, providing a long lasting influence on the receiver, PlaqueMarker definitely made that happen. Thanks Lori...you hit an homerun again. We were in need of matching our current nameplates with some replacements but our previous supplier required a purchase of 25 items. Very glad we found your company. Our office now looks complete!